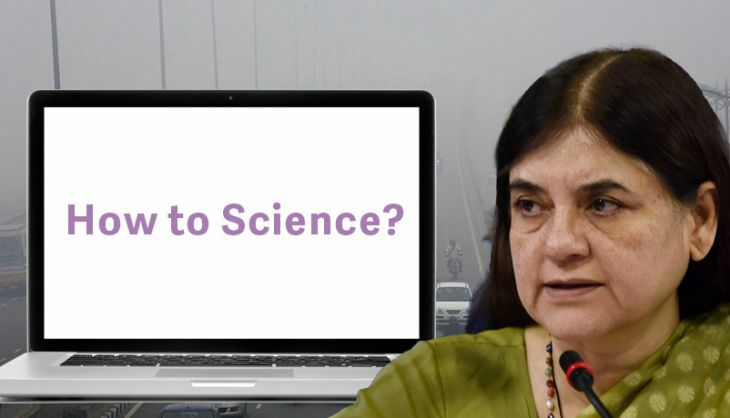 Recently, Maneka Gandhi expressed her views on climate change. Her views made news because they were the completely opposite to the government's own views, including what Prime Minister Narendra Modi told world leaders at Paris. This ruffled several feathers. Well, there was no need for all that because, as it turns out, Maneka Gandhi was wrong on almost all counts. Her claims do not stand up to scientific scrutiny. In fact, they are outright false and misleading. Speaking to NDTV on 3 December, Gandhi said that it is time we stopped blaming the West. She said India is a big producer of methane, which according to her, makes us "one of the main players in contributing to global warming". Gandhi is currently the minister for women and child development in the Union government. She was the environment minister in 1992 during the historic climate summit at Rio de Janeiro, when the UN climate treaty (called the United Nations Framework Convention on Climate Change) was signed. The treaty is the basis of all climate summits including the one under way at Paris. It had specifically said, with scientific evidence, that rich nations have the biggest responsibility for causing global warming. While the US wants poor nations like India to be stands by this position at Paris. Claim: "The West may have emitted 100 years ago. India is one of the main players in destroying the climate"
What she's trying to say: Gandhi seeks to downplay the industrialised nations' historical responsibility by saying their high emissions were a hundred years ago, while we also emit a lot now. The facts: But it is well known that carbon emissions add up in the atmosphere. The harmful carbon in our atmosphere today isn't just what we emitted today, yesterday, or last week, but also the carbon emitted 100-200 years ago. This puts historical responsibility in perspective - counting emissions from 1750, India's emissions stand far below those of the United States, Britain, other European Nations, and even China. Claim: India is destroying the climate because we are the largest producers of methane. And yet we don't even discuss methane. What she's trying to say: She mentions that methane is 26 times more potent than carbon dioxide in causing global warming. India being a big methane producer, thus, has more responsibility than meets the eye. The facts: Methane and carbon dioxide are among the "greenhouse gases" that cause global warming. Yes, methane is way more potent than carbon dioxide -- between 21 and 56 times, based on different studies. But in 2014 there was 400 times more CO2 in the atmosphere than methane, so the potency argument doesn't work. Unlike CO2, methane remains in atmosphere for just a dozen years, the historical responsibility (as discussed above) is lower than for CO2. Yes, India is the second largest producer of methane based on World Bank data (the first is the China, emitting about 3 times more methane than India). But when you look at emissions of all greenhouse gases put together, India ranks 4th in the world (after China, the US, and European Union, in that order). When you see per person emissions, India's position falls to 10th in the world, even below the world average. The average Indian produces about 10 times less greenhouse gases than an average Canadian -- the top ranker in the list. Basically, India's contribution to greenhouse gases is quite low relative to other countries. When the NDTV reporter tried to point this out, Gandhi said it's "rubbish". Claim: "It's not [about] petrol, diesel, dirty fuels, clean fuels. Look at the mota mota [large scale] things that you can [do without]. Concentrate mainly on methane." What she's trying to say: Methane is produced by cattle, and partly from farming. Following that logic, Gandhi is saying we need to shift focus from fossil fuels. The facts: A 2006 study published in Nature found that fossil fuels produced one-third of human-induced methane emissions of the world. In fact, one of the biggest reasons methane emissions are going to grow is by using natural gas. This is because the new method of extracting shale gas, known as "fracking", emits huge amounts of methane. This is known as "methane loss". And this is happening in the United States, not India. A recent study found 9-10% methane loss from two largest gas producing areas in the US -- sustained loss beyond 7% is so potent that it can wipe out all the benefits of switching to natural gas. So, Mrs Gandhi, it is all about petrol, diesel, clean fuels and dirty fuels. Claim: "We need to have a mission now for planting a billion trees a month. Everybody should be out planting trees." What she's trying to say: She's been saying methane is more important than carbon dioxide. And India, being a leader in methane emissions, should play a big role in cutting these emissions by planting a billion trees a month. The facts: Planting trees is great for many reasons, but not if your focus is methane. Because trees do not absorb methane. They absorb CO2. In fact, trees emit methane. Trees and plants emit up to 30% of the world's methane, according to a 2006 study by the Germany-based Max Plank Institute. So, Mrs Gandhi, if you are worried about methane, you should not be planting a billion trees a month.